Give your cat the variety he desires with the nutrition he needs by serving him 100% nutritionally complete fancy feast gourmet canned cat food. 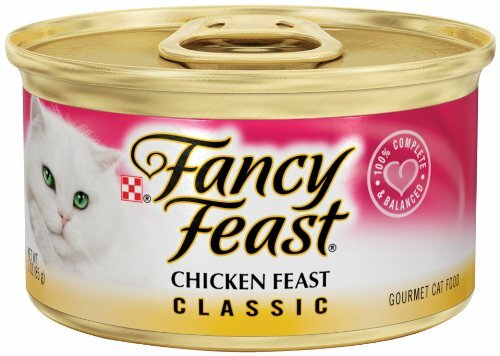 the generous selection of gourmet entrees provides your cat with the perfect balance of nutrients and proteins in a luxurious assortment of 53 flavors in ten textures, such as gourmet, sliced, flaked, chunky, filet & paté, minced, roasted, seafood filets, grilled, and now introducing marinated. This succulent array will delight the palate of your favorite.